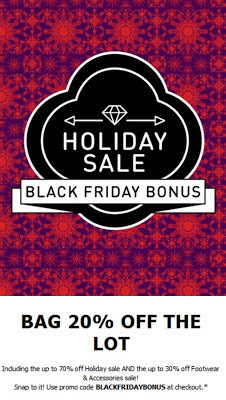 *Enter promo code BLACKFRIDAYBONUS at checkout to receive an extra 20% off everything, including full price, marked down and sale items. The code is valid until 11:59pm PST Sunday, November 25th, 2012. So get to shopping! !